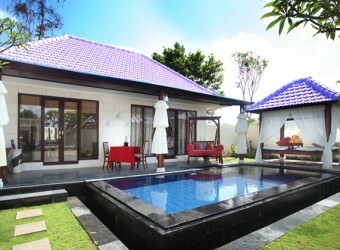 Bali Hotel Lavender Luxury Resort & Spa has deluxe room and Jr. suite room, in addition, new one bedroom villa. The well maintained villa is separated from the main building. It has a pool so guest can enjoy private resort time.